Even with the disappointing freezer to piehole experience I had with the one bowl chocolate chip cookies, I’m not giving up on my dream of easy cookies directly from the freezer. 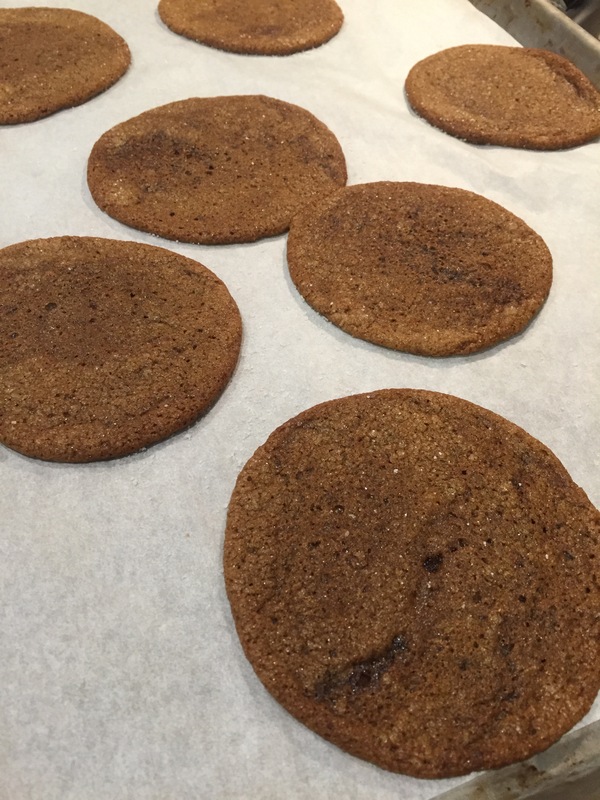 I had about 1/3 of the dough leftover from the chewy molasses cookies in the freezer. 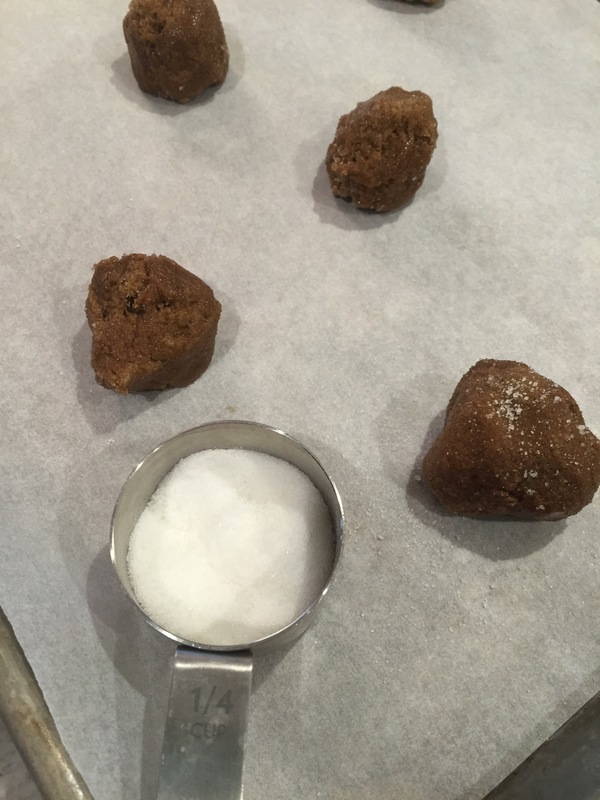 I had formed them into balls and rolled them in the sugar before placing them between sheets of cling film in a Pyrex dish for storage. When I took them out, they were interestingly not entirely hard. Is this some molasses trickery? I plowed ahead anyway. Since my problems with the chocolate chips cookies seemed to be centered around them being too cold to go into the oven, I left these on the counter to thaw and come to almost room temperature before baking. As they thawed, they absorbed most of the sugar coating, so I did sprinkle a little more on top. Baked at 350 for about 8-9 minutes. To be fair, my oven may have been a touch hotter than that since I had just made dinner at 375. There was some time in between but not much. Well–they certainly didn’t look as amazing as they did the first time. They didn’t have the perfect shape or the crispy/shiny coating from the sugar topping. They did, however, taste perfect. Since I’m not terribly picky about a cookie’s looks when I’m in a freezer-to-piehole cookie emergency, I’m considering this a win. “Disappointing freezer to pie-hole experience” made me laugh out loud. Those cookies look delicious! Mmmm, molasses.